, an eminent critic and translator, was born at Andeli, a small village near Rouen in Normandy, in 1512. 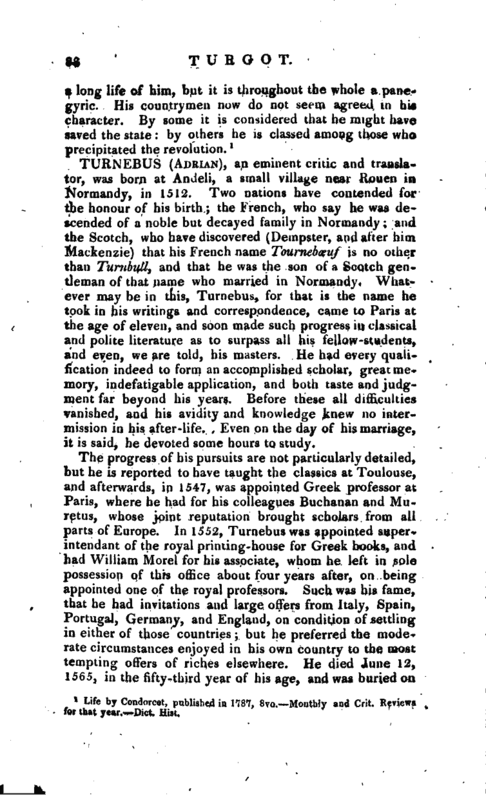 Two nations have contended for the honour of his hirth; the trench, who say he was descended of a noble but decayed family in Normandy; and the Scotch, who have discovered (Dempster, and after him Mackenzie) that his French name Tourncbceuf is no other than Turnbully and that he was the son of a Scotch gentleman of that name who married in Normandy. 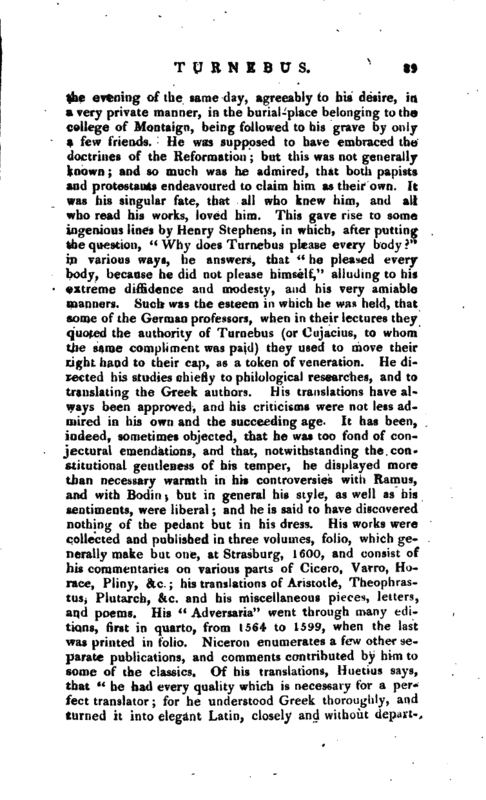 Whatever may be in this, Turnebus, for that is the name he took in his writings and correspondence, came to Paris at the age of eleven, and soon made such progress in classical and polite literature as to surpass all his fellow-students, and even, we are told, his masters. He had every qualification indeed to form an accomplished scholar, great memory, indefatigable application, and both taste and judgment far beyond his years. Before these all difficulties vanished, and his avidity and knowledge knew no intermi-sion in his after-life. 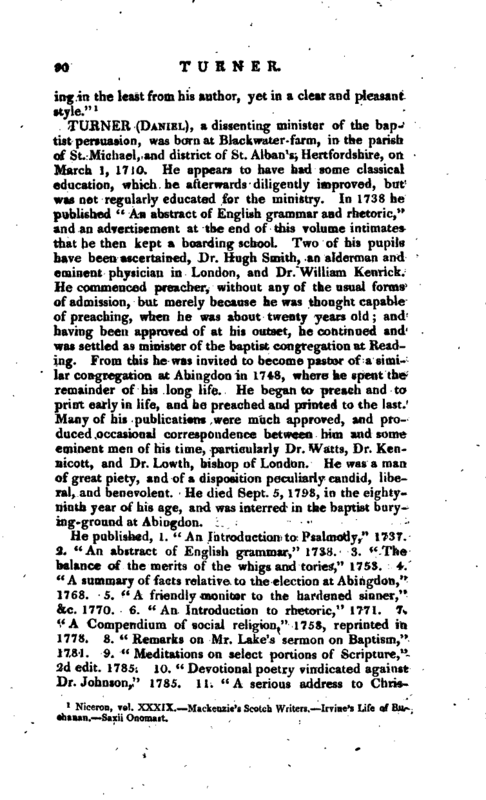 Even on the day of his marriage, it is said, he devoted some hours to study.